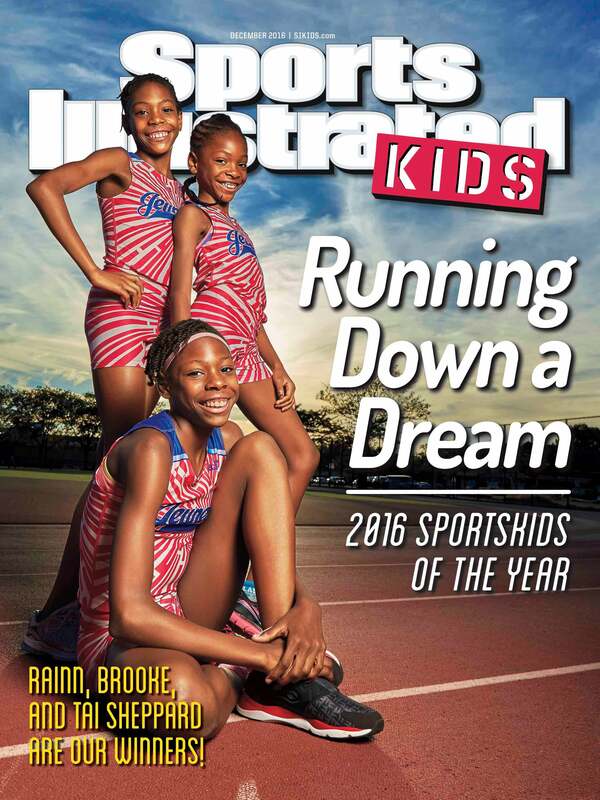 Black Girl Magic: The Sheppard Sisters Are The 2016 Sports Illustrated SportsKids Of The Year! These inspiring young junior Olympians who overcame homelessness, adversity and hardships to achieve their goals will leave you smiling from ear to ear. Talk about a story of triumph! This week, young track and field stars Tai, Rainn and Brooke Sheppard were announced as the recipients of the 2016 Sports Illustrated SportsKids Of the Year award for their athletic accomplishments and unwavering dedication in the face of extreme hardships. ESSENCE caught up with the young track stars and their proud mother Tonia Handy for a quick chat just as they were preparing for the SI SportsKids of the Year announcement. The girls first took an interest in track and field when their babysitter signed them up for a track meet in January of 2015. When the family fell on hard times and relocated to a homeless shelter that September, the encouraging spirit of those around them played a big role in helping to keep them going. Focused on taking things to even higher heights as a Junior Olympian, 10-year-old Rainn had the perfect reaction to learning of the SportsKids of the Year honor. For big sister Tai, there’s nothing quite like getting to live her dreams with her sisters by her side. And while the girls’ athletic accomplishments are no small feat, their mother is most proud of knowing that she’s raising three young women of extraordinary character. Be sure to head over the SIKids.com for the full cover story on these three young queens and check out the video below for more on the Sheppard sisters — aka the 2016 SI SportsKids of the Year!